When I lived abroad people commented that eating while walking was one of the most American things they could think of. Being an American, I considered this a natural thing to do with food. Mobility is prized. In Buffalo, we have mobile restaurants—food trucks—that we drive our cars to. 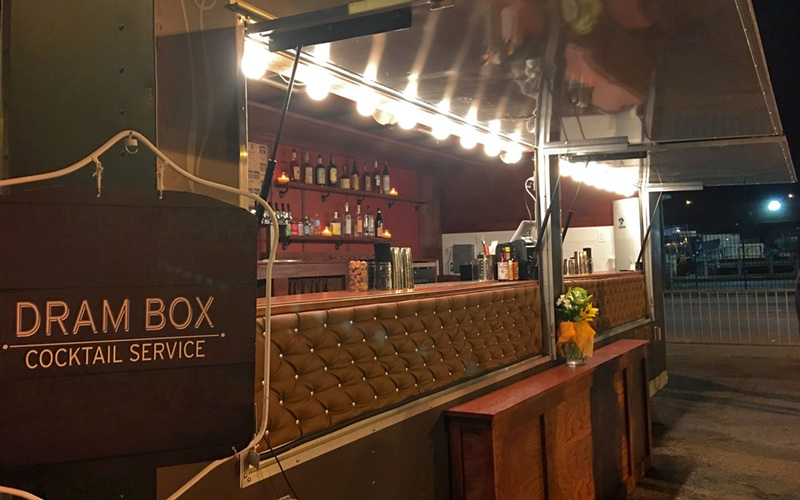 Adding to this national obsession is Dram Box, a mobile bar from Ballyhoo’s Morgan and Tim Stevens. If it sounds like I’m impressed, it’s because I am. While every business tries to build a better mousetrap, it appears that the Stevenses may have worked out the kinks, which is even more amazing considering that this the first mobile bar in New York State. They have a few August bookings since officially launching three weeks ago and have some weddings already under contract for next year. “Tim and I are most excited about how flexible the Dram Box can be. It was made to be what you want it to be for your event,” Morgan said. I have a feeling that you better book now and then plan your event around it.